Frederick “Rick” Eugene Wolfert, 64, of Greensboro, GA passed away peacefully on April 9, 2019 at St. Mary’s Good Samaritan Hospital in Greensboro, GA. Rick was born on August 3, 1954 in St. Louis, Missouri to his parents Mary Catherine Flood and Leland “Lee” Wolfert. Rick went to LSU on a basketball scholarship—taking it all in as a wide-eyed, first-generation college student. He met his wife, Holly, during their Sophomore year at LSU and they never looked back. They graduated in 1976, married in February 1977, and gave birth to their daughter, Maggie, in September of 1979, and their son, Paul, in November 1982. 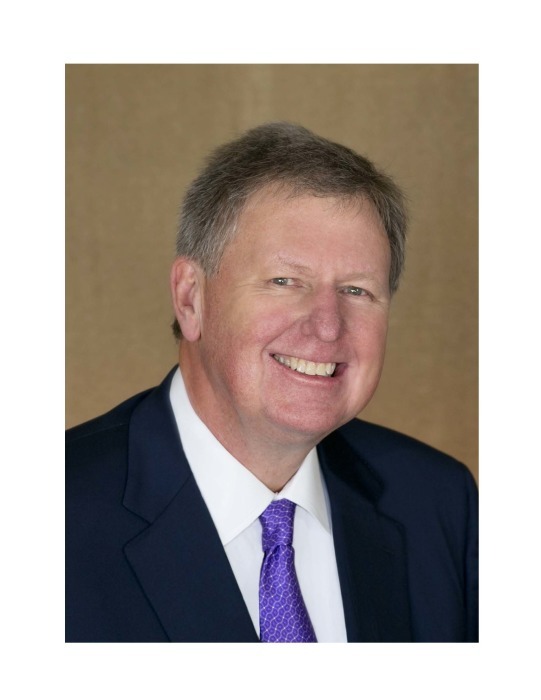 After graduating from LSU, Rick worked for Proctor and Gamble and Connecticut General before joining US Leasing, which was the beginning of his 35-year career in commercial finance. He held executive level roles at US Leasing, KeyCorp Leasing, Heller Financial, GE and CIT Group. In 2007, Rick’s passion, expertise and drive led him to partner with a private equity firm to start his own Commercial Finance company. He named the firm “Tygris” in honor of he and Holly’s LSU experience. He most recently served on the board of Stadion Money Management. Rick was fortunate to travel the world and was always planning the next vacation. He cherished father-son weekends that included fishing, playing golf and attending the SEC tournament, and there was nothing he loved more than the annual family trip to Tiger Stadium. Over the past 8 years, he spent much of his free time in the mountains where he enjoyed trail rides, beautiful mountain views, and a good game of shuffle board. Rick was honored to be inducted into the E.J. Ourso College of Business Hall of Distinction in 2001. His passion and commitment to his Alma Mater led him to serve in several key leadership roles including the LSU Foundation Finance Committee, the Business School Dean’s Advisory Committee, and co-chair of the capital campaign for the new LSU Business School Complex. In their community, Rick served on the Board of the Oconee Performing Arts Society and recently consulted with the Lake Oconee Academy Foundation on the capital campaign to expand the school facilities. Prior to that he was Foundation Chairman for St. Mary’s Good Samaritan Hospital leading the campaign for the building of the new hospital in Greensboro. He was also Chairman of the Board for Good Samaritan hospital and on the Board of St. Mary’s in Athens. St. Mary’s Good Samaritan Hospital turned out to be much more personal than perhaps he ever could have imagined. It was there that he passed away peacefully, surrounded by family, friends and hospital colleagues who loved him and cared for him until the very end. Rick is survived by his wife, Holly Allgood Wolfert, his daughter Maggie Brady and son in law, Vince Brady, his son Paul Wolfert and daughter in law Hannah Wolfert, his brother Steve Wolfert and sister-in-law Valinda Wolfert, his sister Karen Cheek and brother in law Dave Cheek, and five beautiful grandchildren – Grace, Luke, and Holly Brady and Charles and Mary Wolfert. We will celebrate his life on April 13 at 11:00am at Lake Oconee Church in Greensboro. Pastor Andy McQuaid will officiate. Following the service there will be a reception at the Linger Longer Pavilion at Reynolds. There will be a burial service at Resthaven Gardens in Baton Rouge on April 20.